Years ago, we (yours truly) worked for a weekly newspaper. According to the Organizational Chart, we had three bosses: The Managing Editor, the Circulation Manager and the Supervisor. They were men with Experience. But none of them were regarded as our leader. She was someone with innate leadership qualities, one of those people who instinctively lead others without a fancy title or corner office. Problems arise when a non-leader in a position of authority becomes threatened by the presence of a natural leader. It takes a special kind of person to diffuse the tension and forge a productive partnership, and, maybe, friendship. Henry Fonda plays this kind of natural leader in My Darling Clementine (1946), a western based on the 1881 Gunfight at the OK Corral. The film opens as Wyatt Earp (Fonda) and his three brothers camp for the night in Arizona, while en route to California with their cattle. Wyatt and two of the brothers go into nearby Tombstone for a Night Out, but when they return to their campsite, they discover the one brother has been murdered and their cattle stolen. Wyatt is determined to find Those Responsible. He accepts an offer to become the marshall of Tombstone, and deputizes his remaining brothers. Now, in Tombstone, there are two men who run things Around Here. One is Old Man Clanton (Walter Brennan), who has four unruly sons. As a rancher, Clanton doesn’t interfere much in town business, but the movie hints at his knowing exactly who is travelling through the area at any time. The more powerful man is Doc Holliday (Victor Mature), a coarse but expensively-dressed individual with no visible means of income. Holliday is away on one of his business(?) trips when Wyatt is installed as the new marshall, yet the Doc already knows the Score when he returns. Wyatt is at a poker game when Holliday breezes into the saloon, and the atmosphere shifts slightly, like it does when any VIP arrives. Holliday knocks the hat off one of the men and says, “I told you to get out of town.” The man leaves, and Holliday gives permission for the poker game to continue. This is Holliday asserting dominance in his puerile way. You can’t win a power struggle with a guy like this; he’s too entrenched. The better move is to get him on your side. Let’s examine how Wyatt makes an unlikely ally of Holliday. Wyatt calmly approaches the Doc at the bar, and Holliday orders champagne for them both, flaunting his wealth. Then he offers Wyatt a challenge: He asks Wyatt what he’d do if he (Holliday) were to break the law. Wyatt gets to work. He explains to Holliday he’s already broken the law by chasing a man out of town. But he’s not rebuking Holliday; he’s merely stating a fact. 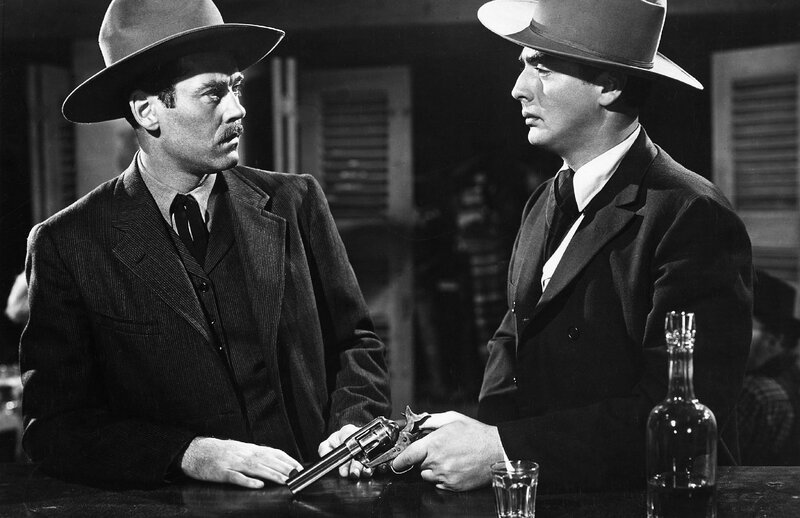 Holliday, a bit rattled, draws his gun while someone slides another gun along the bar to Wyatt. The new marshall doesn’t bite; he isn’t carrying a gun and he returns the weapon. Wyatt doesn’t feel he has to Prove anything. Besides it’s not his job to bolster someone’s ego. The Doc is smart enough to recognize Wyatt isn’t looking to topple him, and a mutual respect develops between the two men. 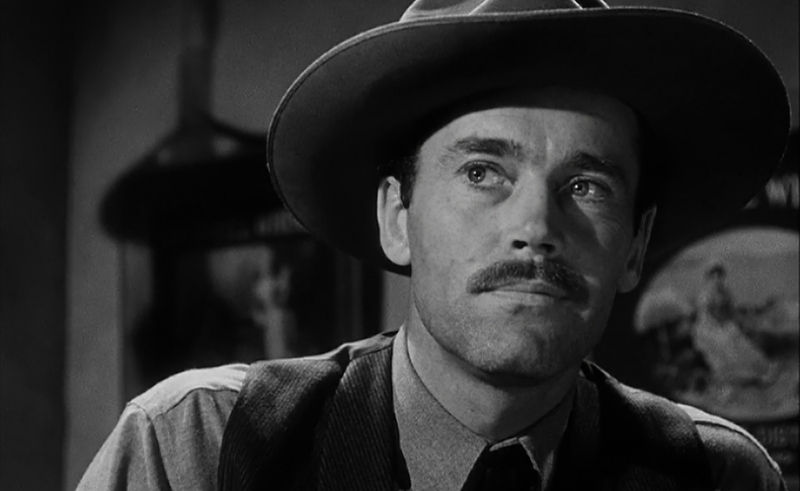 Some say “acting is thinking”, and Henry Fonda provides an excellent example in My Darling Clementine. Fonda’s character rarely breaks a sweat, but he compelling to watch because he constantly surveys and evaluates. Do the events in the film resemble the historic event? Experts say liberties were taken with the story but, according to IMDb, director John Ford claimed he met the real Wyatt Earp. Ford says he staged the gunfight in the film based on Wyatt’s description*. 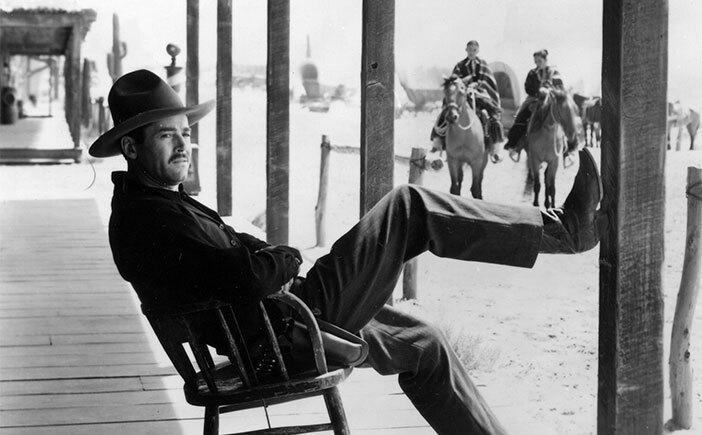 Despite any historic discrepancies, My Darling Clementine is an enjoyable film with a superb actor providing a valuable lesson in leadership. * Many historians say the actual gunfight was only 30 seconds. 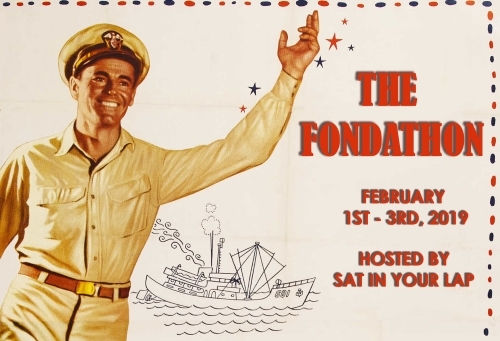 This post is part of the THE FONDATHON hosted by Sat in Your Lap. 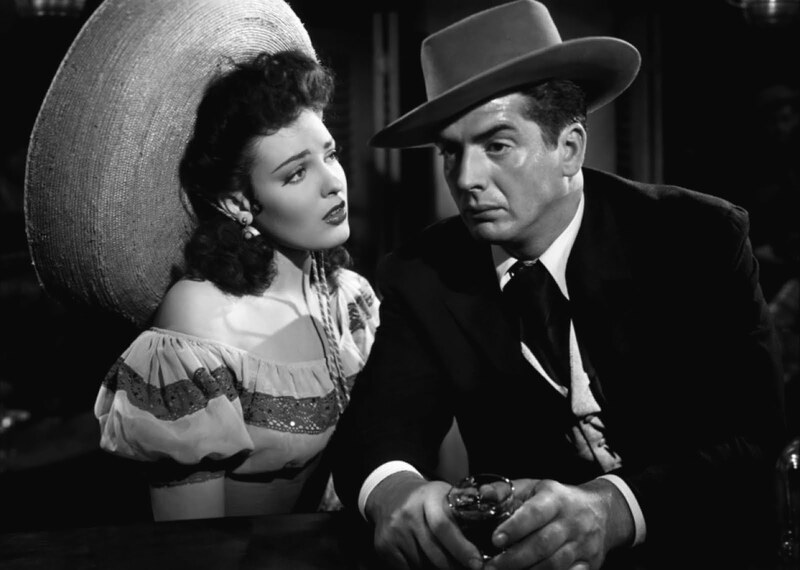 My Darling Clementine: starring Henry Fonda, Linda Darnell, Victor Mature. Directed by John Ford. Written by Samuel G. Engel & Winston Miller. Twentieth Century Fox, 1946, B&W, 97 mins. Seen a lot of his films but not this one. Thanks forettont me know of it. I hope you get the chance to see it. The cinematography is gorgeous. Not a huge Western fan so I have not seen this one… but I love the analogy with the real World. Will put it in my watchlist. I think you might like this one, even though it is a western. It’s more of a character study, I would say. Hello Ruth. I havent seen this movie. But I liked his performance a lot in what I think is a very great movie: The Ox-Bow Incident. He was real good too in Twelve Angry Men. Take care. Great read. This is one of my favourite movies. There was a free screening at TIFF a few years ago and because it was free there were some young women sitting next to me who seemed put out that it was in black and white and a western. Nonetheless, they were drawn into the movie so much that when they recognized Chihuahua’s necklace from Billy as being stolen from Virgil, the girls gasped! I think they left surprised by the movie. Ha! That is a great story! When someone gasps out loud at a movie, you know they’re Invested. An interesting perspective on a good Western! As you noted, Henry Fonda gives a fine performance as Wyatt. However, Victor Mature seems miscast as Doc. I prefer Jason Robards and Stacy Keach in the role. I bet Stacy Keach is A-MAZ-ING in that role. I love this film, but never thought about the theme of natural leadership connected to it. Girl, you made me think a lot! Isn’t this one of the beautiful things about the movies? You said it, Le! That is one of the beautiful things about the movies. I love it when there’s much more going on under the surface. I think the only movie I actually ever saw him in was “On Golden Pond” and he was wonderful in that! He was wonderful in that film. In my opinion, he’s wonderful in everything. Henry Fonda is the best Wyatt Earp. Change my mind. Haha! Henry Fonda is a tough act to follow in any role. Henry Fonda was a truly amazing actor. His love for acting can be seen in each of his many roles. A very respectable man representing core values. I also enjoyed his role in My Name Is Nobody. Thank you for your post!! LOVE LOVE Henry Fonda!! I always enjoy watching actors/actresses in their less famous roles! Enjoy!! Love this film. Have you seen Warlock (1959)? It’s a perfect follow up to My Darling Clementine. He’s basically playing Earp again, with a slight twist in the story. He’s a bit of a bully. It’s the only time I’ve ever seen Fonda play an anti-hero, and he’s tremendous. To me, it bridges the gap between classic Westerns where Fonda and Wayne were basically saints and the sixties westerns where Eastwood and Lee Van Cleef were anti-heroes. I agree re: Henry Fonda’s performance. It is beyond brilliant, as you say. I really don’t like cowboy movies, never have… But I loved reading this. I love a great application of art and Cinema to leadership and you’ve done a great job here. The line about a non-leader in an position of authority running into a natural leader is fantastic. I’m going to be thinking on how that plays out for a while. Thank you for your kind words. 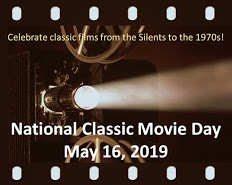 🙂 I hope you get the chance to see “My Darling Clementine”. Henry Fonda is terrific – as is the rest of the cast – and the cinematography is gorgeous.